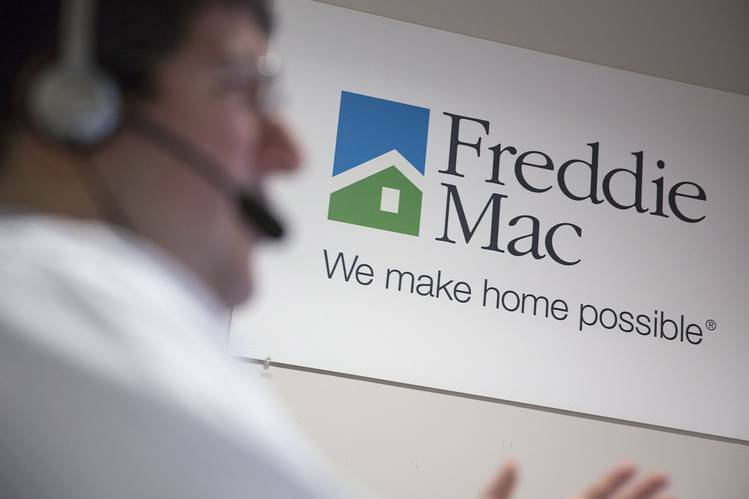 Freddie Mac on Tuesday posted its first quarterly loss in four years despite a healthy housing market, underscoring the challenges faced by the mortgage-finance giant in its eighth year of government control. The McLean, Va., company reported a loss of $475 million for the third quarter, driven mainly by a quirk in accounting rules. Its $1.3 billion net worth means it doesn’t require a taxpayer bailout. Still, the performance raises questions about Freddie’s long-term health. Over the past few years, rising home prices and lower mortgage defaults have bolstered the profits of Freddie and rival Fannie Mae. Now, those benefits are receding, making the companies more susceptible to the need for taxpayer help should the housing market turn south and as the government requires them to wind down their capital reserves. The loss comes as Freddie and competitor Fannie Mae remain caught between shareholders and civil-rights groups who want to see them freed from government control, a White House that believes the current system is broken, and a Congress that can’t come to agreement on what the future system should be. The government took over Fannie and Freddie in 2008 and eventually infused them with $187.5 billion in bailout money. Since then, the companies have become highly profitable, paying out $239 billion in dividends. Under the terms of the bailout agreement, Freddie and Fannie are required by 2018 to whittle their capital reserves to zero, meaning that even a minor hiccup in their businesses could force the need for a cash infusion from the U.S. Treasury. The companies combined still have $258 billion in available credit from the Treasury. Under the current agreement with the Treasury Department, Fannie and Freddie are required to send nearly all of their profits to the government but aren’t required to pay a dividend when they post a loss. Freddie’s third-quarter loss was driven mainly by an accounting discrepancy involving derivatives the company uses to protect against interest-rate changes. The derivatives are recorded at market value even though some of the hedged assets aren’t, resulting in a discrepancy that Freddie said caused a $1.5 billion hit to earnings. Freddie Mac CEO Donald Layton said Freddie could change its methods for hedging interest-rate risk in the future to avoid an accounting-driven bailout. “The decline of the capital reserve to zero creates real risk of our needing a draw. At the very least this risk is significant if we enter a recession and home prices commensurately decline,” Mr. Layton said on a call with reporters. Mr. Layton said Freddie’s core business—of buying, securitizing and guaranteeing mortgages—remained strong. Freddie said its quarterly net interest income, which includes the fees it collects from backing mortgages, was $3.7 billion, down from nearly $4 billion in the second quarter and about the same as in the third quarter of 2014. The housing market is on track for its strongest year since 2007. With rising home prices, fewer borrowers default on their mortgages, helping Freddie’s profitability. But the loss is likely to renew calls for housing-finance reform from its proponents and for a change to the companies’ bailout terms from the companies’ shareholders. Legislative efforts to replace Fannie and Freddie have mostly stalled since last year, and few observers believe significant housing legislation will pass in this Congress. In the absence of legislation, a growing number of shareholders and civil-rights advocates have called for the administration to allow Fannie and Freddie to retain capital. Treasury Sec. Jacob Lew and other White House officials dismissed those calls last month, but as time goes on, some lawmakers who want to see the companies eliminated have said they fear they’re instead becoming more cemented in the housing-finance system. Posted on November 4, 2015, in Postings. Bookmark the permalink. Leave a comment.